Did Hillary Clinton’s lauding of abortion contribute to ‘what happened’ to her failed presidential bid? The media is all abuzz over Hillary Clinton’s new book, “What Happened ” — a book certain pundits believe is nothing more than a long list of excuses and blame shifting for Clinton’s failed run for the presidency in 2016. And while there are many reasons why Clinton lost her 2016 presidential bid, one of those was likely her radical stand on abortion and support for Planned Parenthood. After all, Clinton hired campaign staff associated with Planned Parenthood, and was endorsed and funded by the abortion corporation. While Clinton is to blame for her own positions on “issues” like abortion, certainly she also has the Democratic Party to thank, after the group bragged about making its 2016 platform the most pro-abortion platform in history. As Live Action News’ Rebecca Downs noted in her year-end analysis of the 2016 election results, Hillary and the Democrats left pro-lifers behind. But in reality, Clinton has mainly herself to thank for her loss. Surrounding herself with hard-core abortion fanatics put the first female presidential candidate in a bubble which alienated voters. From the beginning, Clinton has stated that her position on abortion is 100 percent in line with Roe v. Wade. What does that mean? It means she supports abortion on demand for any reason and at any gestational age. And we saw this radical support for abortion during her campaign, over and over. Voters understood that Hillary’s radical support of abortion was years in the making, and how extreme Hillary was, because she did little to hide it. Many believe Hillary was the impetus behind President Bill Clinton’s pro-abortion executive orders and radical stance, despite his infamous lip service to the idea of abortion being “safe, legal, and rare.” Bill Clinton’s veto of a ban on partial-birth abortion — the horrific partial-birth abortion (D&X) procedure, in which an abortionist partially delivers the preborn child before stabbing the baby in the neck and suctioning out his brain — is believed by many to have Hillary’s fingerprints all over it. As Senator, despite the partial-birth abortion ban being supported by a majority of Americans, Mrs. Clinton defended this procedure and denied that her position was extreme: “What I do think is extreme is making a decision in this body to outlaw a medical procedure that may or may not be required,” she said at the time. This misjudgment about the nation’s support for abortion, naturally, has yet to be mentioned in interviews about her new book. For years, Clinton has held an unscientific belief that the preborn child in the womb is nothing more than property and therefore is not fully human. This type of dangerous ideology has led previous societies to target Blacks as slaves, to promote eugenic sterilizations, and to kill millions of Jews in gas ovens or to imprison them in Nazi concentration camps. 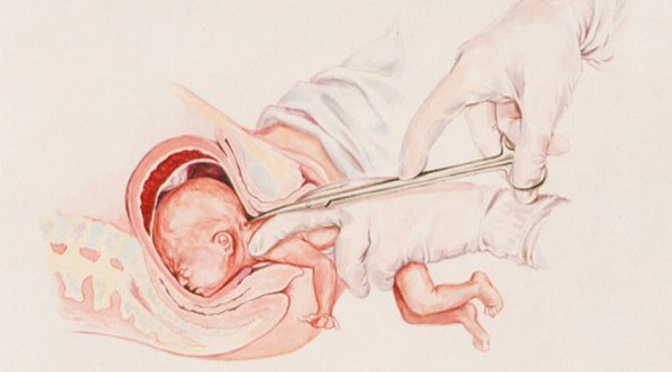 In Spring 2016, Clinton told NBC’s Chuck Todd that under America’s current abortion law, “the unborn person doesn’t have Constitutional rights,” and later, while appearing on The View, reiterated her belief that the reborn have no Constitutional rights. Fast forward to January of 2016, when Clinton called for an end to the Hyde Amendment, which prohibits the use of most federal dollars to pay for abortions. She then called for more — not less — federal funding of Planned Parenthood. Hillary’s consistent support of the scandal-ridden, controversial abortion corporation Planned Parenthood may have also cost her votes. In 2009, Planned Parenthood awarded Hillary Clinton its most prestigious award, the Margaret Sanger Award. Clinton proudly touted her support for Planned Parenthood, the nation’s largest single abortion provider, on her campaign website. 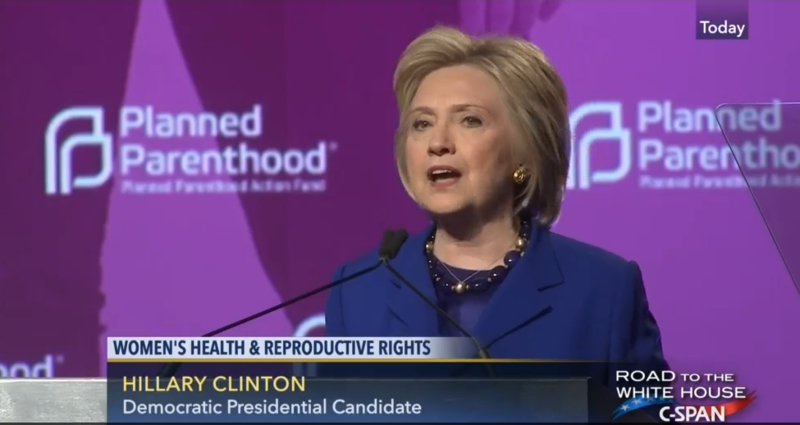 One article, published in 2015, lists 17 times Hillary stood with Planned Parenthood. In person, Planned Parenthood leaders and supporters stumped for the presidential hopeful. Images of Clinton hand in hand with Planned Parenthood leaders sent a clear message that Clinton sided with abortion profiteers. 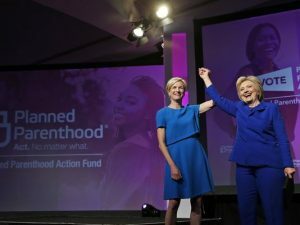 While Planned Parenthood (which receives millions in taxpayer dollars every year) stumped with and for Hillary, voters were being inundated with undercover videos of Planned Parenthood officials discussing their participation in the harvesting and profiting from the sale of fetal body parts, released by the Center for Medical Progress. Of course, Clinton’s gratitude naturally came on the heels of a large cache of money set aside by Planned Parenthood to endorse Clinton in her presidential race. As Hillary makes her rounds across the nation, promoting her book, the answer to why she failed to be elected is a complicated one with many factors. But so far, the media hasn’t recognized that while a million abortions are committed every year in the United States, Americans still view it as a generally evil act. Celebrating that act so openly certainly didn’t help Hillary Clinton. This entry was posted on September 22, 2017 at 3:27 am and is filed under Hillary clinton with tags 2016 presidential candidate, Abortion, Book, Cecile Richards, Election, Hillary, Hillary clinton, Margaret Sanger, Margaret Sanger Award, Planned Parenthood, What Happened. You can follow any responses to this entry through the RSS 2.0 feed. You can leave a response, or trackback from your own site.